Thibaut Courtois is reportedly angling for a move to Real Madrid after a report by Diario Gol says he has offered himself to the La Liga side. The 25-year old spent three years in Madrid, but with Real’s rivals Atletico, and is now hoping for a return to the Spain capital. He’s not likely to get on the scoresheet himself, but which of Courtois’ teammates will be the first goalscorer at Selhurst Park? You can have a go at predicting it by playing Hotshot Jackpot. It’s completely free-to-play and you have the chance of winning a whopping £275K. Click here to play. As reported by Diario Gol, Courtois has offered himself to Real despite their sustained interest in Manchester United shot stopper David De Gea. De Gea is Spanish and will boost their homegrown quota in their squad if he is signed, but Courtois is also a desired talent. Having won the Golden Glove last season after helping Chelsea win the Premier League title, combined with his success in Spain, the Belgium international has become one of the best goalkeepers in the world. 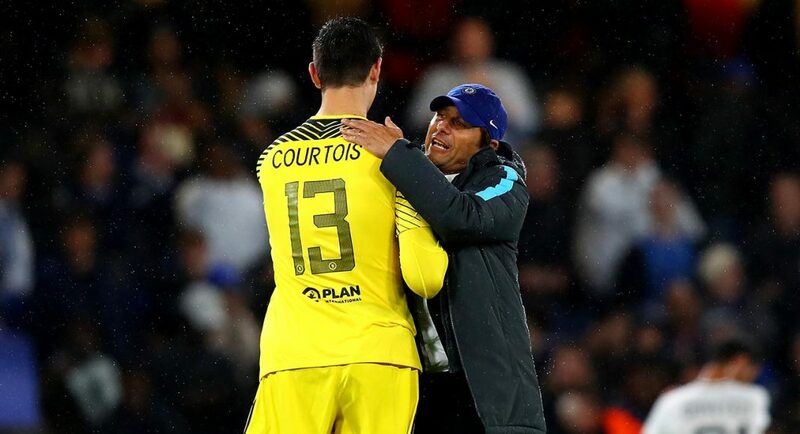 Courtois has featured in all of Chelsea’s seven Premier League games this season and is certain to start in nets for Antonio Conte’s side against Crystal Palace. If he insists he wants to leave, wow! he should be allowed to follow his heart. Get another GK to take care of things at the goal post. It is as simple as that. Let’s bury this issue and focus on our games.